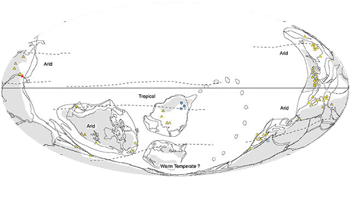 The lack of landmasses at both poles, the position of Gondwana over the equator, abundant evaporites as well as the lack of preserved glacial deposits during the Cambrian to Middle Ordovician, suggest relatively mild temperatures at this time. Well-preserved fossil-rich carbonate rocks and shales, such as the Chengjiang succession, indicate shallow warm seas and environments in which marine animals and other organisms flourished. From time to time the climate became arid and shallow lagoons dried up, leaving behind evaporate deposits such as salt and gypsum, still preserved today in Hunan Province in China. By the end of the Ordovician most of the landmasses were joined to Gondwana, which reached the South Pole. 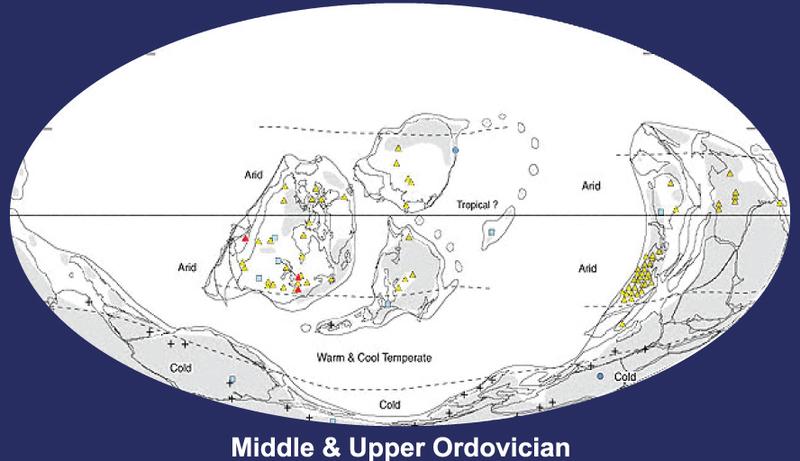 This placement of a large landmass over the pole appears to have triggered a series of continental glaciations in Gondwana and a general global cooling in the Late Ordovician. 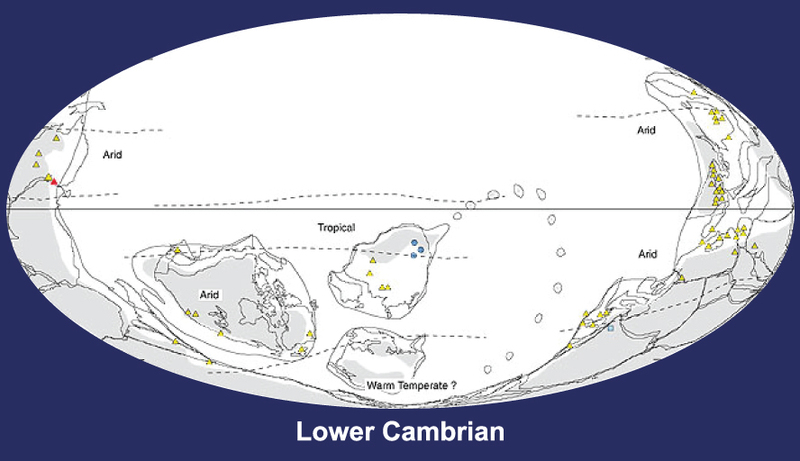 The falling sea-levels and worldwide marine transgression caused much of the reef-building fauna to become extinct, and were probably responsible for both mass extinction of marine animals and the first colonization of the barren continents by very primitive land plants during the beginning Silurian. 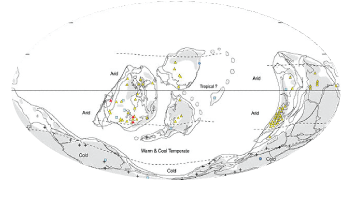 Moderate global temperatures returned in the Silurian and new, larger reefs were built by an increasingly diverse reef-building fauna.